Welcome to our website, and thanks for visiting! In our office we help people who suffer from a variety of health issues. Naturally, chiropractors traditionally help neck and back problems, but chiropractic has also produced wonderful results with a variety of problems you would not normally associate with the spine. In addition, we offer modern acupuncture as a treatment for not only the typical neck and back problems, but for a wide variety of other health problems. Advances in science and research have provided a modern approach to evaluating the energy imbalance in our bodies, allowing for a more consistent outcome. Think, ancient wisdom meets cutting-edge technology! Call to arrange a consultation today and find out if you’re a good candidate for today’s chiropractic care, and modern acupuncture! 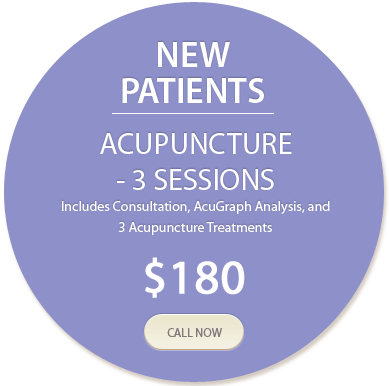 ACUGRAPH – Where the ancient wisdom of acupuncture meets cutting-edge technology. AUTO ACCIDENTS & WHIPLASH – Occupants often suffer more than the car. Get pain relief today. YOUR MOORESVILLE CHIROPRACTOR – Get more relief with fewer visits at Dudley Chiropractic & Acupuncture. Helping patients with pain relief since 1994. As a Mooresville chiropractor and acupuncture specialist, Dr. Dudley helps relieve pain, like from auto accidents, and work related injuries, as well as helping with general mobility and high quality of life. Dudley Chiropractic & Acupuncture also provides Nutrition, Massage, and Physical Rehabilitation to the Lake Norman Area. Now accepting new patients in Lake Norman - Troutman, Denver, Mooresville, Davidson, Cornelius & Huntersville.